We are known about (Official Whatsapp app) now it is available with most interesting features. Recently there are few updates in WhatsApp app like images, and video as status and schedule for WhatsApp messages. But still, there are some more features, that we can't get with WhatsApp app. GBWhatsapp is a moded file of Official WhatsApp, which was developed by GBMods. They have added some advanced features, in privacy and User Interface settings. 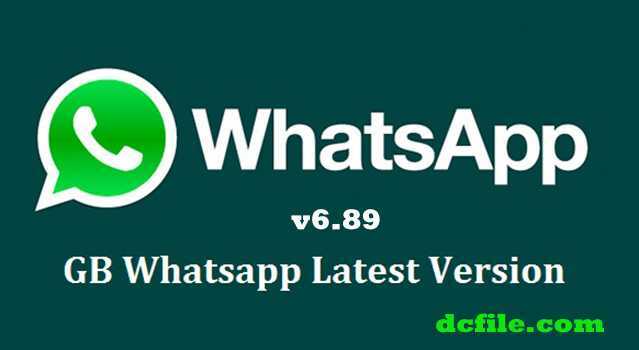 Now download GB Whatsapp latest version v6.88 for free. In which most amazing features are available in this app. 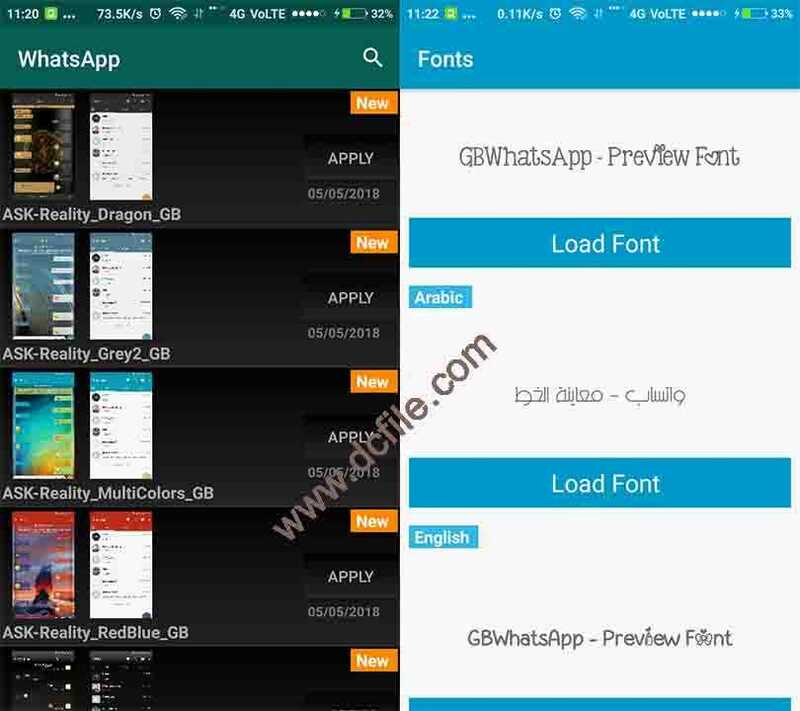 Themes:- We can download themes that were created by GBWhatsapp users. Creating our own preferenced themes share and load. We can send our own customized themes to the developer to put it on the server. Appearance:- We can change to the appearance of GBWhatsapp. Conversation Screen:- So many options are available under this head to change the appearance, on the Conversation screen. They are like changing the style of Header, Chat, images, Translucent mode. We can understand these by the description they have given. Main Chats Screen:- After opening any chat we can apply the changes to this head. These are not for a particular contact, by default applies for all if we made any changes. Popup Notification:- Changing color background, for the header, messages text, footer, text entry, contact name, contact status, and so many. Widgets:- Here we can change sizes, of displaying widgets, like title, subtitle, Date, Time. Media Sharing:- This mode enables us to change the upload limit on audio, video till 31 MB and resolution change in images. Other Mods:- Color change of launch icons, and notify bar icon, ticks style, hide notifications, Switching to OLD User Interface, disable voice calls, Backup data and some extra features. Open Log:- Shows the log details of our contacts. Lock:- Enables the security of GBWhatsApp by a passcode. 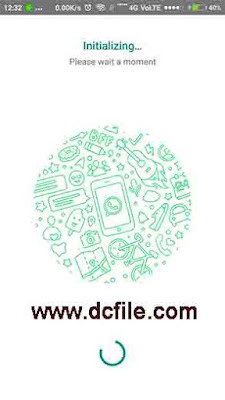 Clean GBWhatsapp files:- Cleans the GBWhatsapp data like themes, logs, media, and backups. 10 Language:- We can change the default language into our choice from 10 available options.The installation process of creating an account will be the same as WhatsApp only. To download the mod version from the below link and install. Hide Online Status:- We can hide online status/show. Blue Ticks:- It hides the appearance of blue ticks even. If we read sender messages. Second Tick:- It hides the appearance of single ticks even. if sender messages got delivered to us. Writing Status:- Privacy to writing status to hide from a particular group or persons. Recording:- While recording voice messages, it's will hide the status of recording. Blue Microphone:- If we receive audio from others, we can hide the status of playing it. So even if we play that also they do not get to know. 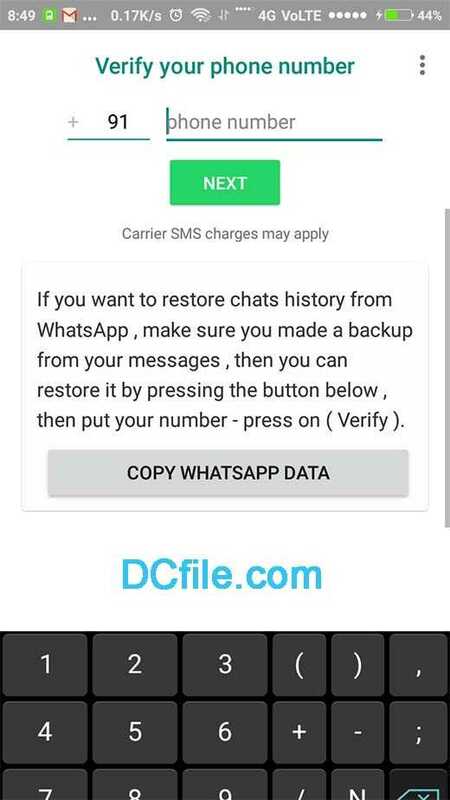 How to install GBWhatsApp without losing Chats? After the download with a successfully GBWhatsApp latest version on your Android device, we will talk about how can you install a GBWhatsApp on your mobile phone without any losing Data (chats) with an easy way, we have added some tips in the explanation of the steps to make the guide easier. Step No.1: Now download GBWhatsApp apk to your android mobile phones and tablets from below. 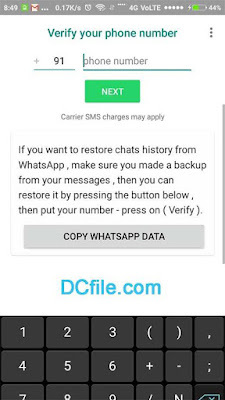 Go to Settings: Chats Backup in WhatsApp and older version or WhatsApp app, then go to file manager in your android phone & change WhatsApp folder name into GBWhatsApp folder name. Step 2: Go to your phone settings then click on Settings — Security — Unknown Sources option tick. 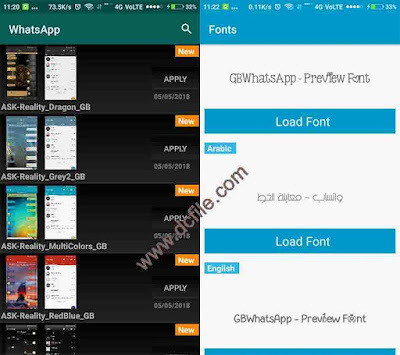 Step 3: Install GBWhatsApp app on your phone file-manager, which you were downloaded folder, and install. 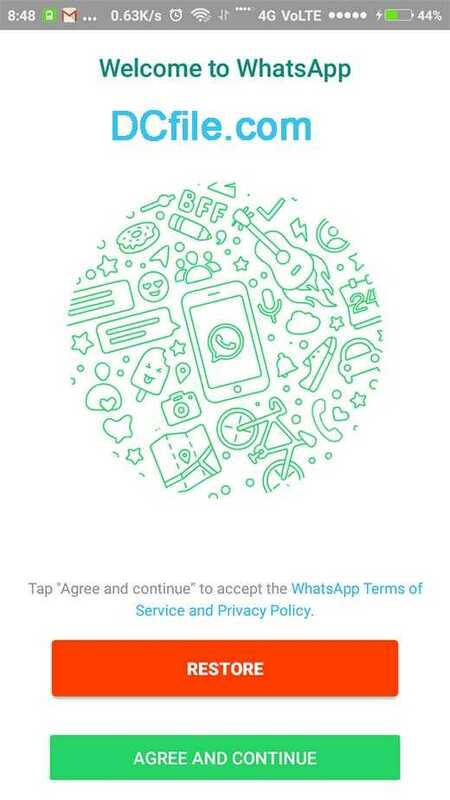 Step 4: Open GBWhatsApp click (AGREE TO CONTINUE) for the next step. Step 5: Now Enter your mobile phone number & verify your phone number. This step may take a few minutes, relax and wait for a few second to verification code to your app. Step 6: If you have any backup Press restore to latest backup, now wait for a few seconds to completely restore the backup your app. Step 7: Enter your good name & chose your cool profile picture. Ans. It is a modified version of the WhatsApp application. It is the same as WhatsApp Plus or GBWhatsApp Apk. Que No2: Is my mobile phone will be safe and secure, If I will use GBWhatsApp Apk? Aus. Yes, Don't worry about GbWhatsApp security issues. The app is trusted. Que No3: When, Unfortunately, GBWhatsApp has stopped, then what is an available option. Que No4: Is GB WhatsApp App available for iPhone mobiles. Aus. I'm sorry, the GBWhatsApp application is not available for iPhone mobiles. Que No5: Can I freeze my last seen on GBWhatsApp app? 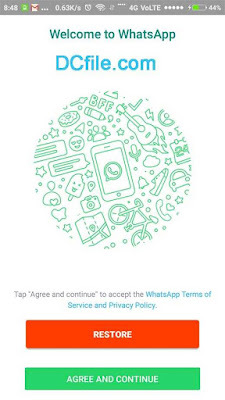 Que No6: Do I need to uninstall WhatsApp app? Que No7: What are the advantages in GBWhatsApp apk? Aus. 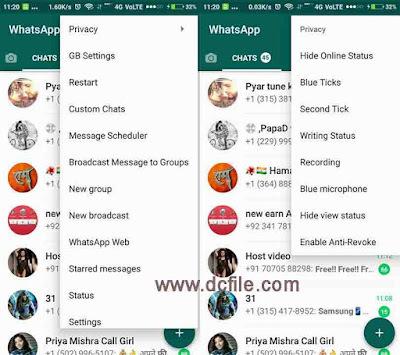 GB WhatsApp apk, great advantages for themes, share stuff such as status, videos, photos, voice clips, and even your right location.